The night Brian Hunt died, volunteer firefighter Cody McKellips vowed to find a better way for fire and rescue teams to speed up water rescues, particularly as flood waters rise. Hunt became the 14th victim of a December 2016 flood when his truck was swept off of a Route H bridge into Missouri’s Pomme de Terre River after storms caused massive flooding the day after Christmas. McKellips, a junior in aerospace engineering at Missouri S&T, was working with the Walnut Grove, Mo., Volunteer Fire Department when it was dispatched to the scene. The next day, McKellips and his father, Tom, a retired Springfield firefighter and now a volunteer firefighter in Walnut Grove, sat down at their kitchen table and started pitching ideas to help fire departments avoid losses like this in the future. By the end of the night, the McKellipses and partner Matt Halaschak, an electronics expert, had plans for a prototype of a water rescue device. And before long the three formed a non-profit company to manufacture the device — Global Rescue Systems. 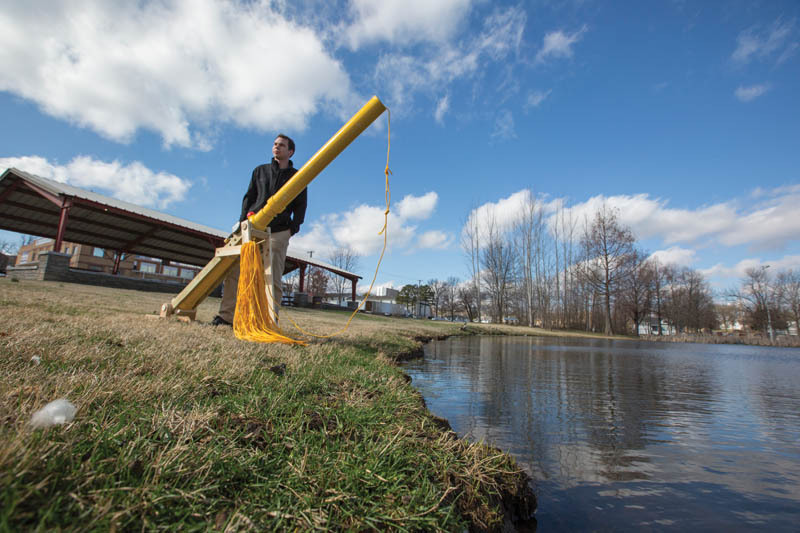 The prototype flotation device, called the Last Chance, has three primary components — a specially designed stand, a pneumatic launcher and a projectile. The projectile, which looks a bit like a foam swimming pool toy, is the flotation device. The device weighs about 30 pounds and costs just over $100 to build. McKellips’ engineering background helped him evaluate the mechanics of materials, safety, price optimization, aerodynamics and rocketry concepts. Right now, the device is capable of launching the flotation device about 250 feet. The team is working on improvements that will extend that reach to well over 500 feet. The Last Chance prototype is designed to not automatically retract — and for good reason. There is a lot of debris in the water during a flood, McKellips says, and that would make a self-retracting device difficult to use. It would also add to the cost of the device. McKellips says that isn’t part of the plan. A main goal of the project is to make these devices so affordable that they can be provided at little or no cost to volunteer fire and rescue teams. The inventors have provided a prototype to the Pleasant Hope Volunteer Fire Department and are raising funds to pursue a patent and begin larger-scale production. They’re also working on more advanced versions of the Last Chance and other rescue devices. 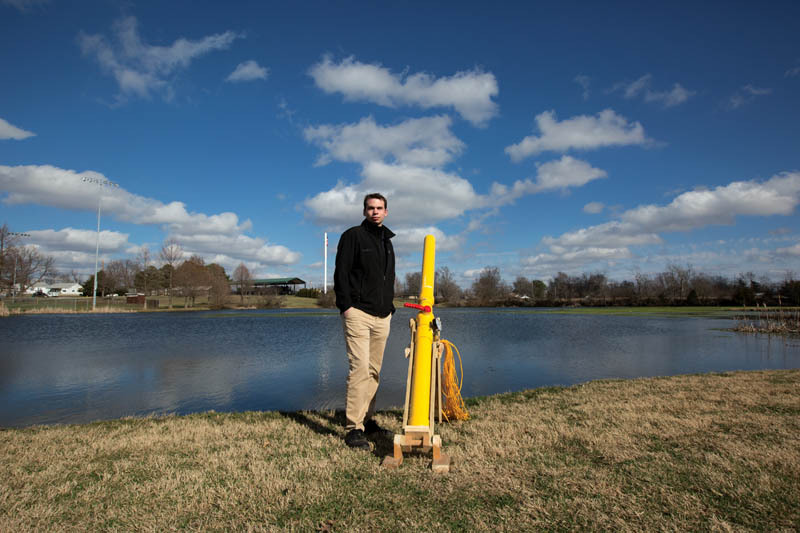 Cody McKellips’ prototype flotation device, called the Last Chance, has three primary components — a specially designed stand, a pneumatic launcher and a projectile.